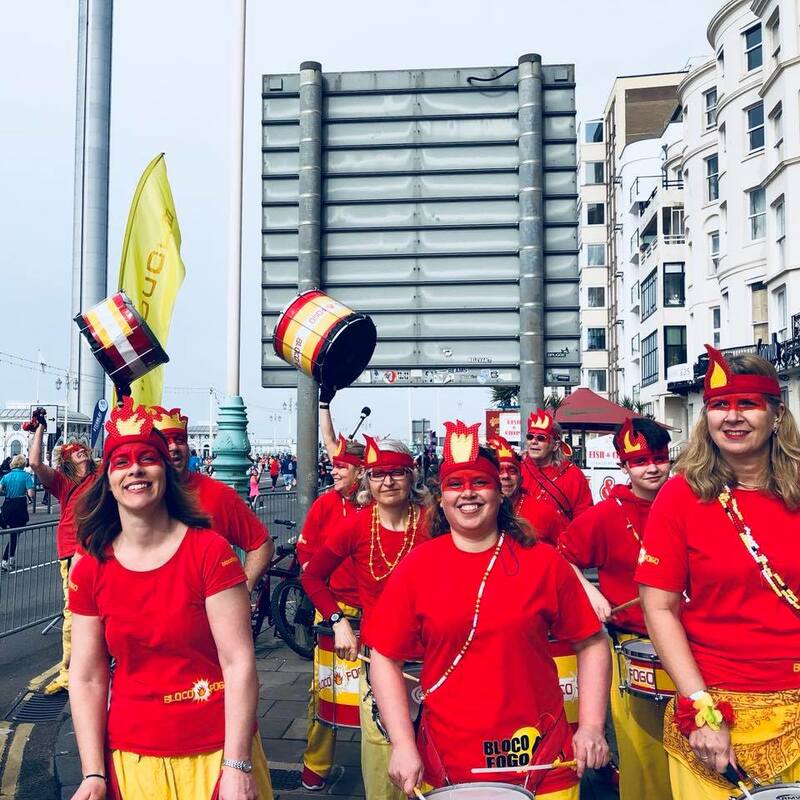 Sunday 15th April took us to the seaside, to the colourful, cosmopolitan town of Brighton to support the inspirational runners of the annual Brighton Marathon; the second largest marathon ran in the UK. 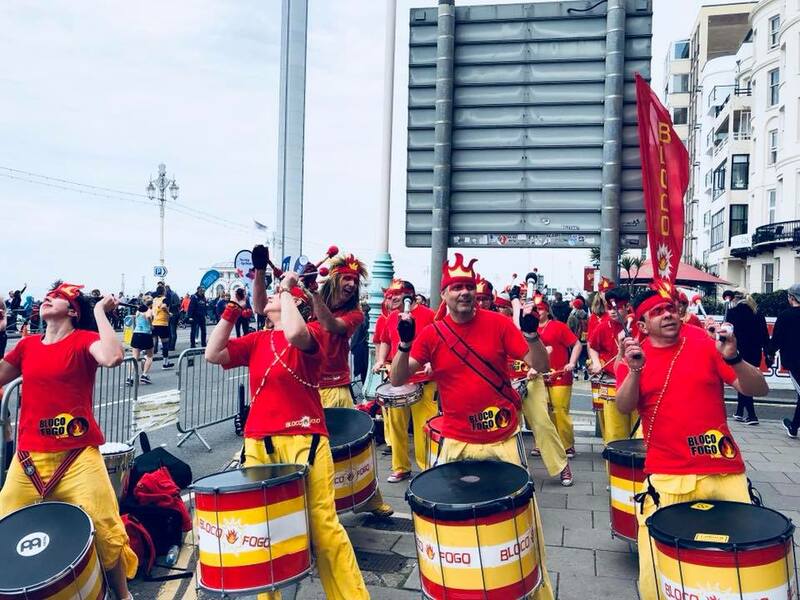 The Brighton Marathon, now in its ninth year, was founded by former international athlete Tim Hutchings and by former Brighton club athlete, Tom Naylor. The event is organised by the Grounded Events Company ltd. Around 12,000 runners participated and the majority were running to raise money for charity. Millions of pounds were raised and donated to hundreds of charities, locally, nationally and internationally. 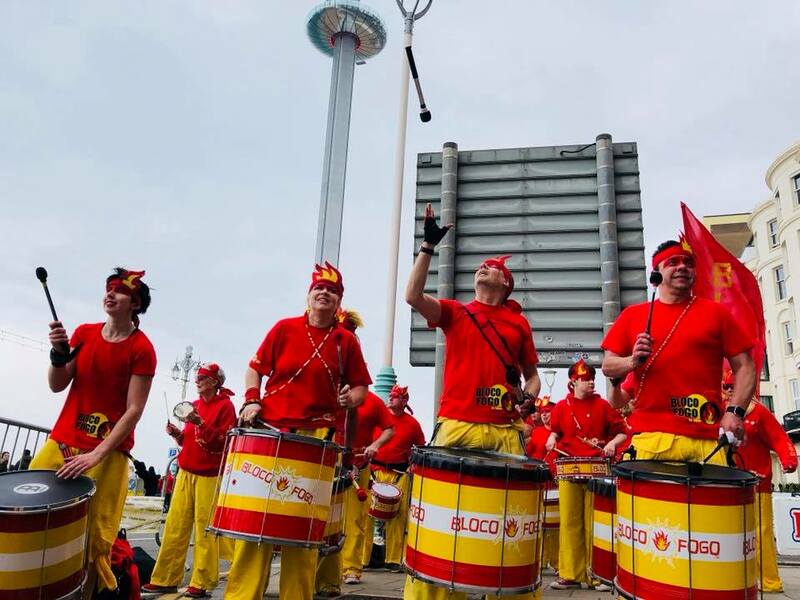 Bloco Fogo was honoured to return to Brighton this year. Our mission was to set the scene, lift spectator spirits and encourage the runners to the finish line. 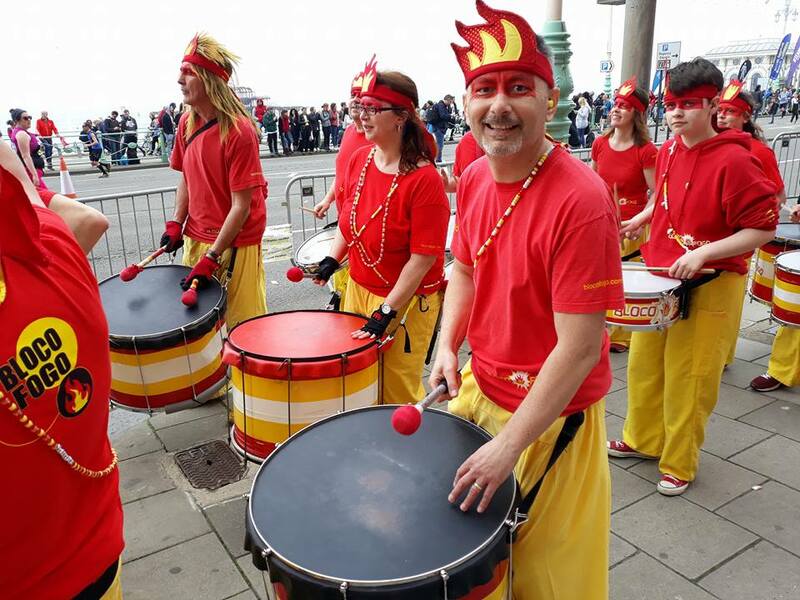 We were at the half-way point, outside The Brighton Metropole and everyone showed their appreciation for our uplifting, funky Samba grooves. Mission accomplished! Well done to everyone who took part.